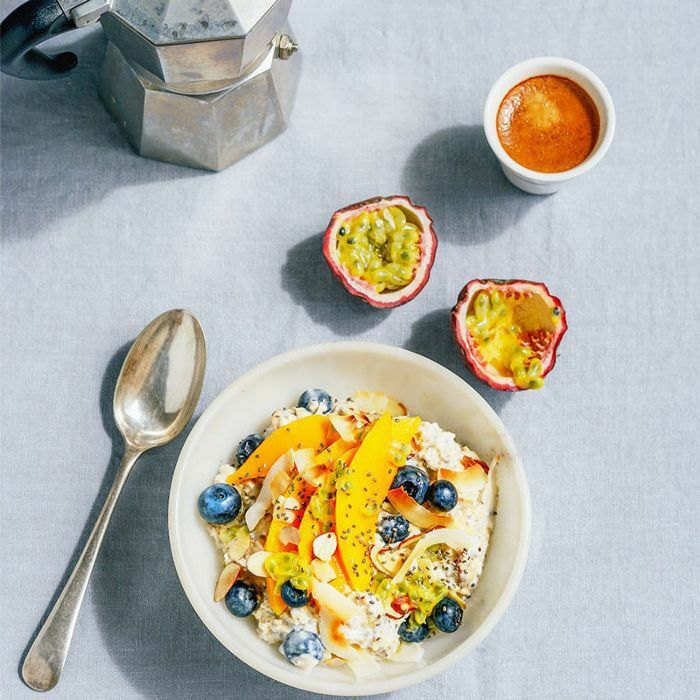 Whether you're a morning person or you resent your alarm clock, breakfast is still the most important meal of the day. Since doctors are the ultimate health experts, we referred to these three physician-approved recipes from Mindbodygreen for healthy and flavorful breakfast ideas to fuel your day. Each dish is easy to make and packed with energizing nutrients, plus they'll spice up your routine while keeping you satisfied all morning. Scroll through for the breakfasts—we promise these treats are just what the doctor ordered. Frank Lipman, MD, the founder and director of Eleven Eleven Wellness Center, drinks a smoothie that satisfies hunger and enhances focus. It's also a great alternative for anyone trying to ween off coffee. It only calls for a dash, so you'll get your caffeine fix without overdoing it. This doctor's orders? Ch-ch-chia (pudding) for a heart-healthy treat. Joel Khan, MD, founder of the Kahn Center for Cardiac Longevity, says this is a great way to meet your omega-3 needs first thing in the morning. If you don't have a huge appetite in the morning, here's your solution: chai tea, a handful of nuts, and green juice. Amy Shah, MD, immunity specialist and founder of AmyMD Wellness, recommends her spicy tea because it's not just delicious—it's also packed with anti-inflammatory properties. Once your appetite kicks in, sip on an antioxidant-rich green juice.